Athens, Greece currently has no singular design system. As a tourist destination it would be extremely useful for the city to have one recognizable and understandable system that bridges the metro, tram, rail, trolley and bus lines. 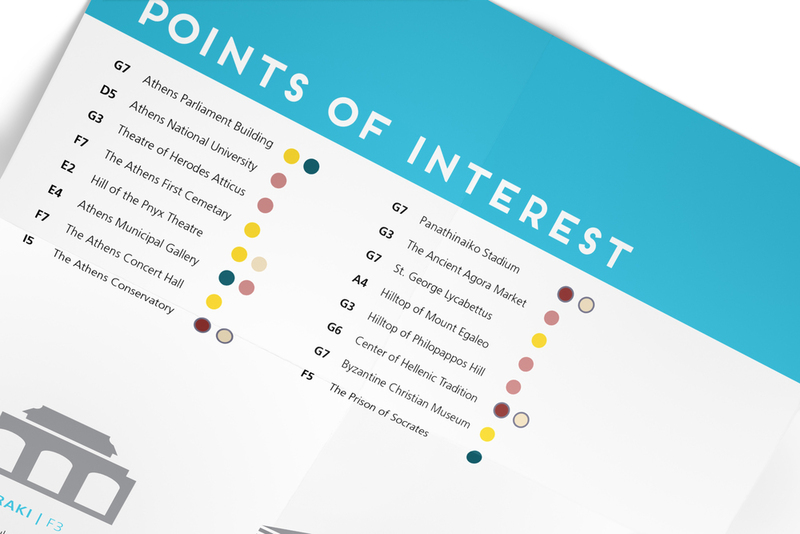 Redesign the visual language of Athens' transportation system. The logo is inspired by the A and T letters of the system as well as the cross in the Greek flag. The entire system was inspired by the rich visual history of Greece. The Golden Ratio proportion was used in different visual elements the same way ancient Greek architects used it as the foundation of classic architecture. 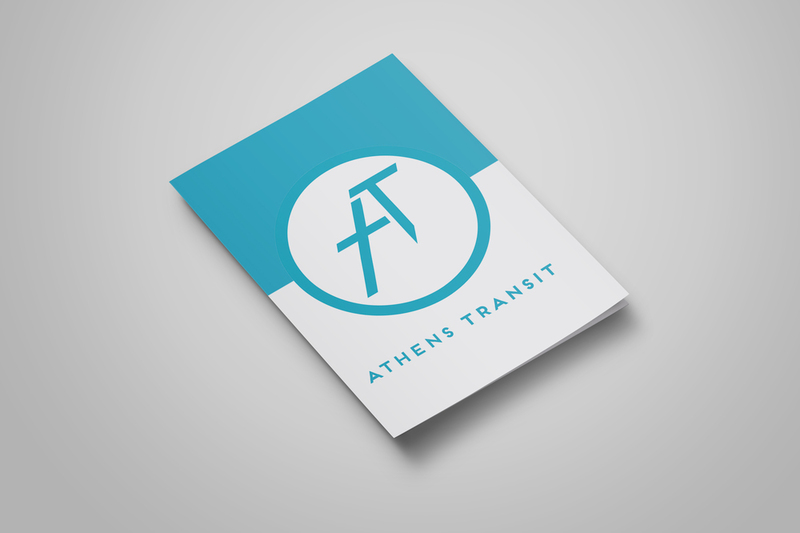 The map redesign combines the Metro Rail, Commuter Rail and Tram system that currently exists in Athens, Greece. The map is designed for both Protanopia and Deutaranopia types of color blindness. Icons were based on the Golden Ratio grid as inspired by Greek architecture. The brochure is designed especially for tourists. One side contains points of interest while the other has the transit map. The map folds neatly into a pocket-sized brochure that's easy and light to carry around. 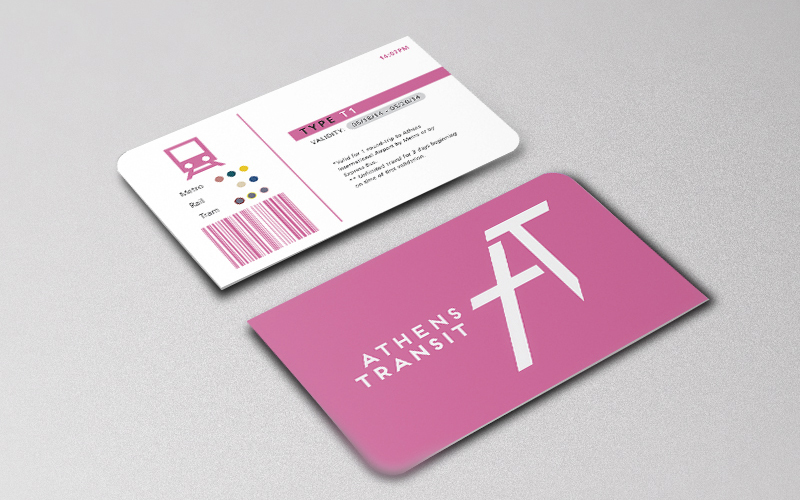 In Athens, the public transport system has many different types of tickets, depending on the length of validity as well as the area of Athens you can go. Each ticket is designed with a different color to help people recognize the types. The unusual shape is meant to make it easy to find just by touch. 2. Real-time GPS locator for where you are on the train, how many more minutes it will take, as well as which line to take. 3. Information about the top points of interest in Greece and how to get there. There is also a "Where Am I?" 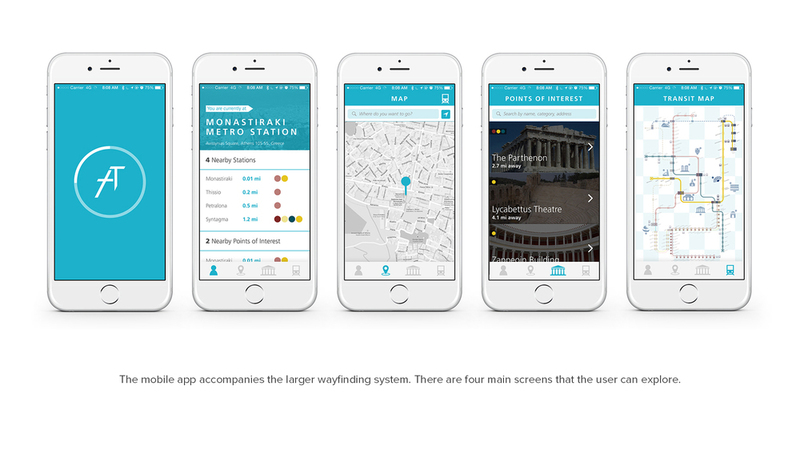 feature that tells you where you are in Athens.